New Year’s Eve is an anniversary of sorts, one of those milestone holidays that speaks volumes of the person on your arm. It could be a first New Year’s Eve date or many in a long line of celebrations with someone special. Another year begins with the person standing or sitting next to you, the prospect of a midnight kiss lingering as time moves from one year to the next. Where you spend New Year’s Eve and what you eat and drink can up the romance factor, sharing a plate of tapas with the likely touch of a hand or brush of an elbow reaching for the olives. A carafe of housemade sangria on the table eases the tensions brought on by too much contact with friends and family over the holidays, releasing whatever inhibitions remain at the end of the evening. Culinary discovery is an aphrodisiac unto itself, bonding over the excitement of sampling a new cuisine for the first time together. Check out these restaurants for a romantic New Year’s Eve 2018 and get ready to kick off 2019 in a special way. Looking to do something different? Then head on over to our New Year’s Eve 2018 Dining Decider for an assist and more options from the experts at OpenTable. 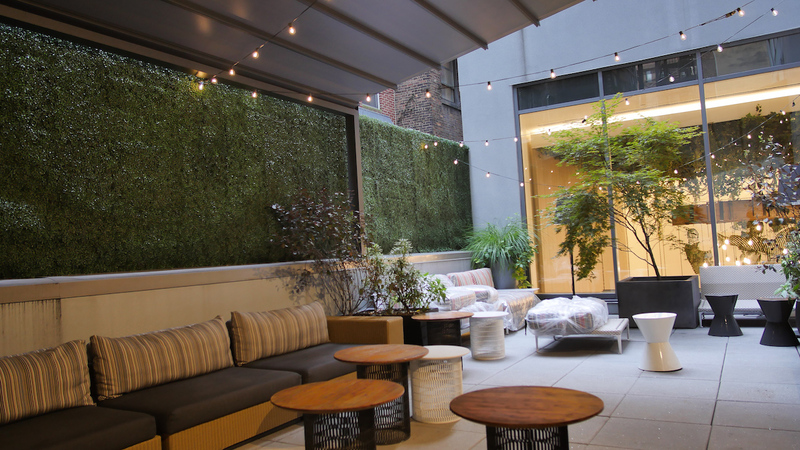 Whatever kind of night you’re after, OpenTable can help you find the perfect place to celebrate. 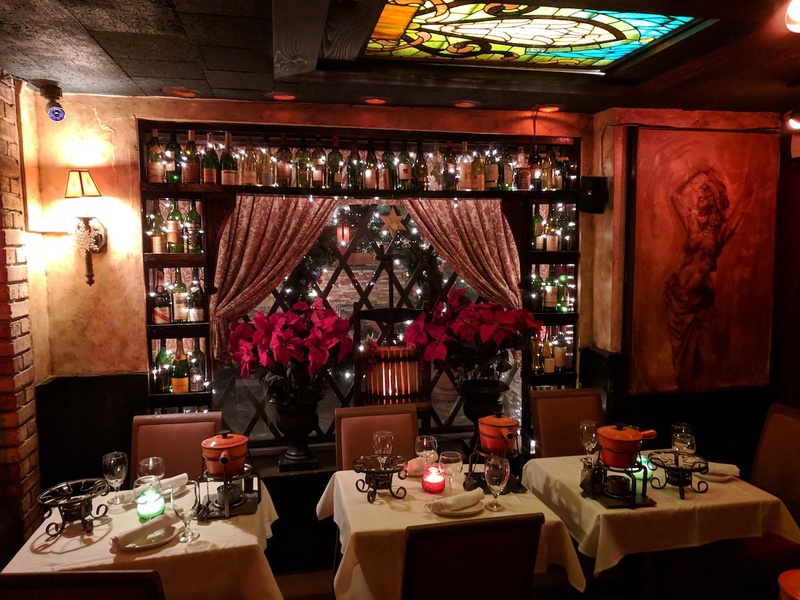 In one of historic America’s most sublime restaurants for avian and literary lovers, The Bird’s Nest at Plume is nestled into a curved library, boasts the largest collection of Madeira wine in the country. Under a century-old crystal chandelier, this New Year’s Eve Michelin-starred meal served by way of chef Ralf Schlegel will include king salmon yew wood bento soaked in Amish beeswax, New Frontier bison duo, and The Jefferson’s celebrated desserts: sea salt caramel coffee tart and honey marzipan croustillant. Make a reservation at Plume. Nothing spells out a romantic evening like a towering cityscape. On the 40th floor of the Chicago Stock Exchange, Everest guests have a bird’s eye view of the Chicago skyline. That’s not the only draw – in addition to the French cuisine, Everest has one of the largest Alsace collections in the world and mood-setting artwork everywhere in the Ivo Soldini bronze sculptures on each table, paintings by Chicago artist Adam Siegel, and Virginio Ferrari sculptures in the dining room. 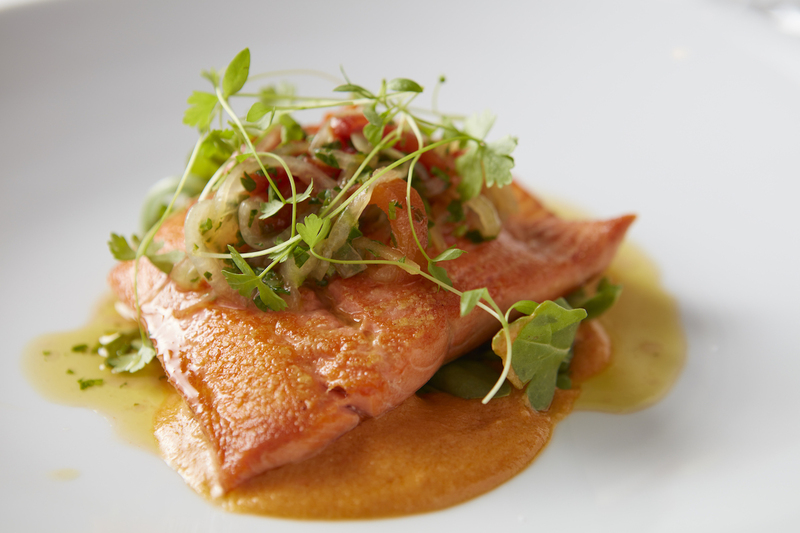 Illustrious dishes include home smoked salmon naturel with herbed Alsace fleischnagga and baked wild sea bass Alsace-style. Make a reservation at Everest Restaurant. The surroundings at Dakota’s Steakhouse continue to be the reason it’s consistently called the most romantic dining in Dallas from the patio’s five-tiered granite water wall and lava rock fire pit to the black granite bar. The list of New Year’s Eve-worthy steaks and seafood include carved porterhouse and roasted Scottish salmon with drunken raisins, and appetizers like pan-seared foie gras with apple tarte and spiced caramel. 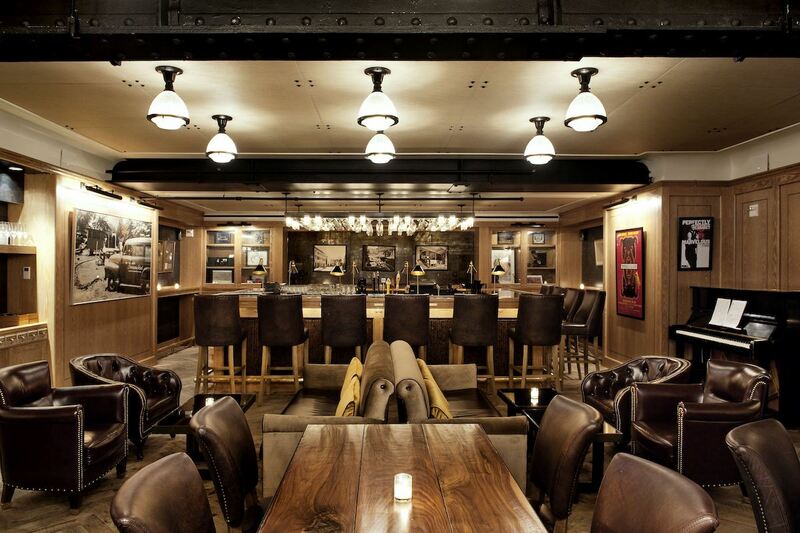 Make a reservation at Dakota’s Steakhouse. Chefs Michael Mina and Raj Dixit have developed a special multi-course tasting menu at the Michelin-starred restaurant for New Year’s Eve. With two seatings for the evening, the first will feature a five-course tasting menu while the second seating will feature seven courses. Dishes will include live Stonington sea scallop, Michael’s parfait of Osetra caviar, smoked salmon, and crème fraîche, charcoal-grilled octopus, Maine lobster, and dry-aged côte de bœuf smoked in alfalfa hay among others. 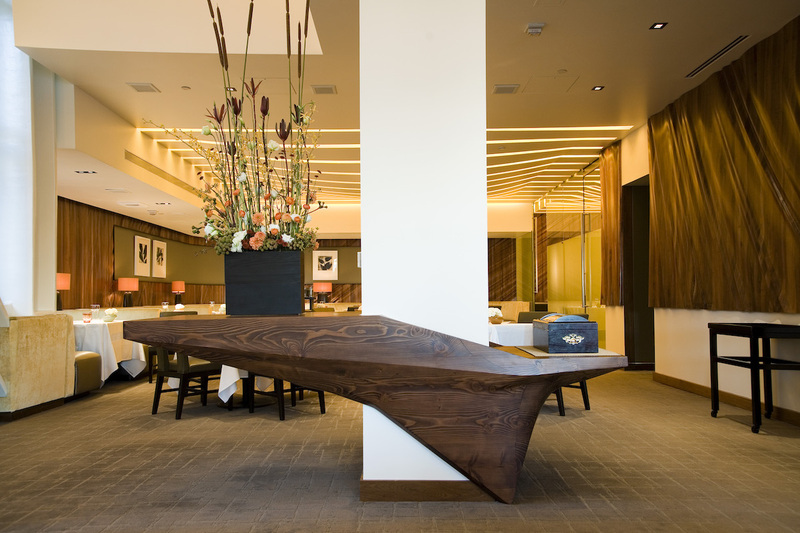 Make a reservation at MICHAEL MINA. It’s a meal built for deux with special ingredients being flown in from around the world for Uchi’s inaugural New Year’s Eve celebration. 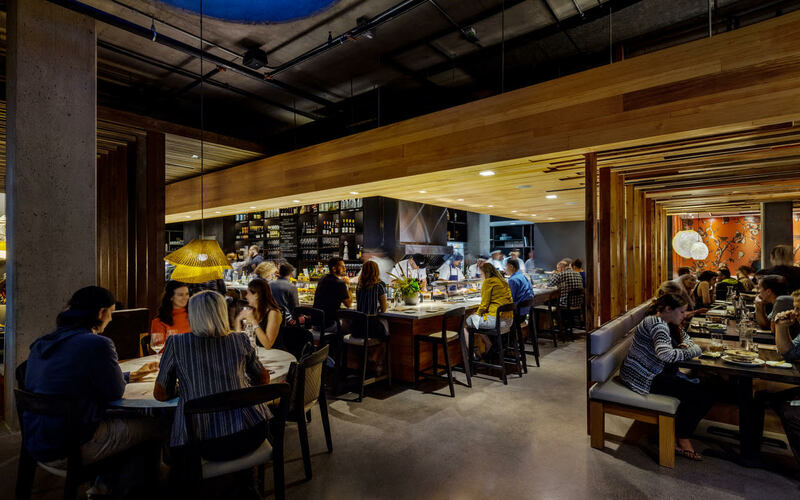 At $170 per couple, Uchi’s menu includes a fine selection of sushi, foie gras and kohlrabi dumplings, soy-glazed Wagyu beef with avocado, salsify, and Thai basil, and a Black Forest okashi with chocolate, stone fruit, and mushroom. Make a reservation at Uchi. 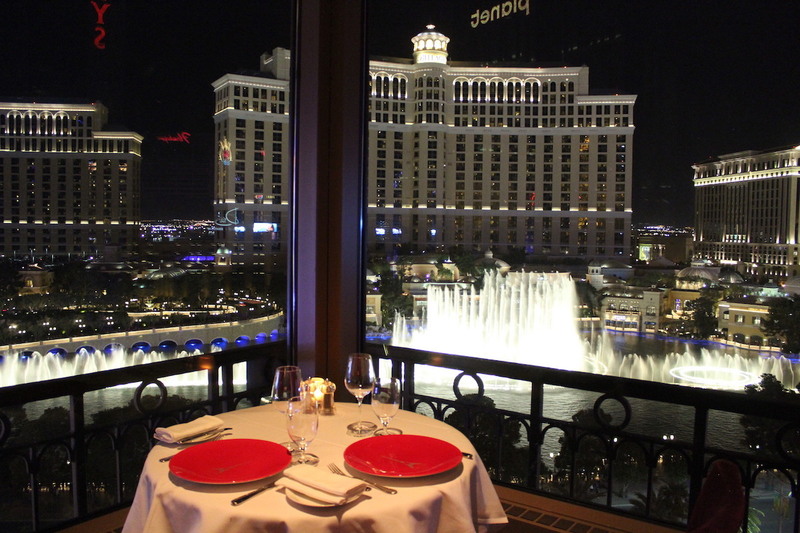 Look up the Eiffel Tower Restaurant in Vegas and the reviews tell the tale: in this bustling city, romance abounds here. 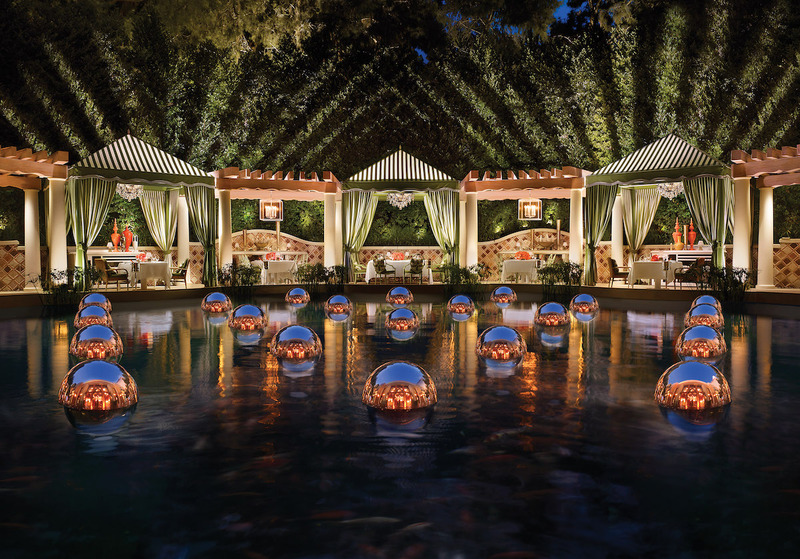 Perched above the dancing fountains of the Bellagio Hotel, the French cuisine is a perfect match to the red-toned dining room where diners fall hard for dishes like cold foie gras torchon with duck prosciutto and fig compote, seafood platters, and venison medallions. Make a reservation at Eiffel Tower. 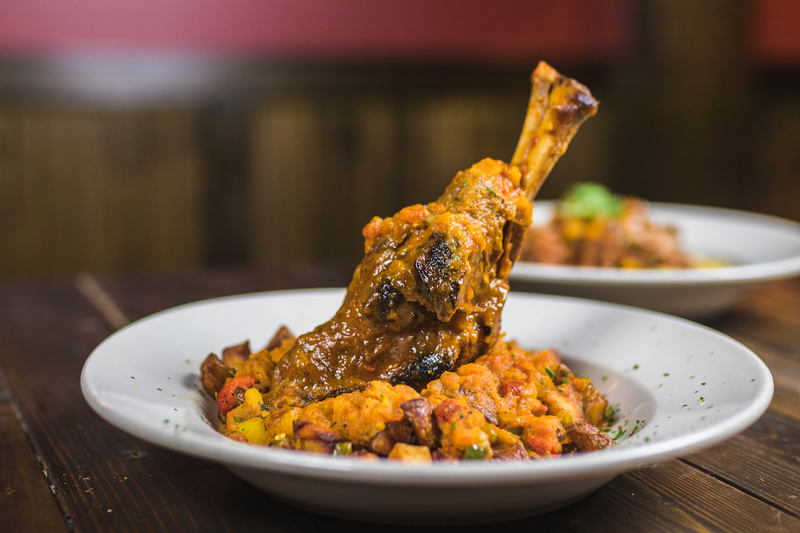 People are already talking about the special version of Peli Peli’s popular espetada – for New Year’s Eve diners have the option of ordering a bacon-wrapped seafood espetada as part of the Peli Peli special edition, limited menu. New items on the list also include lamb shank served in a stunning space rich with color and creative lighting. Make a reservation at Peli Peli. 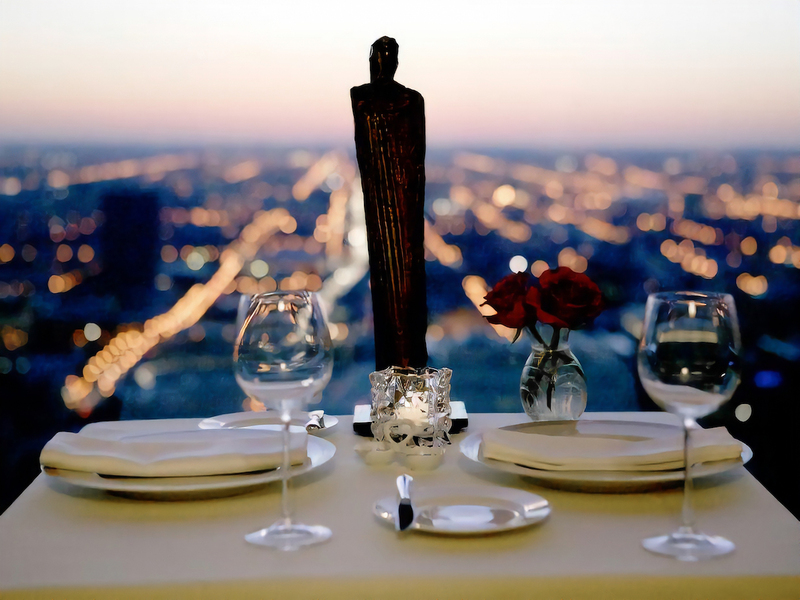 At the Ritz Carlton in Chicago, this New Year’s Eve for one night only, Torali presents a special la carte holiday menu. It will include Ōra King salmon affumicato with lentil and bean ragu and arugula pesto, plus surf and turf served with housemade gorgonzola popovers. Diners will also have choices of seasonal versions of Torali’s signature housemade pastas, including butternut squash tortellini and sausage cavatelli. Make a reservation at Torali. 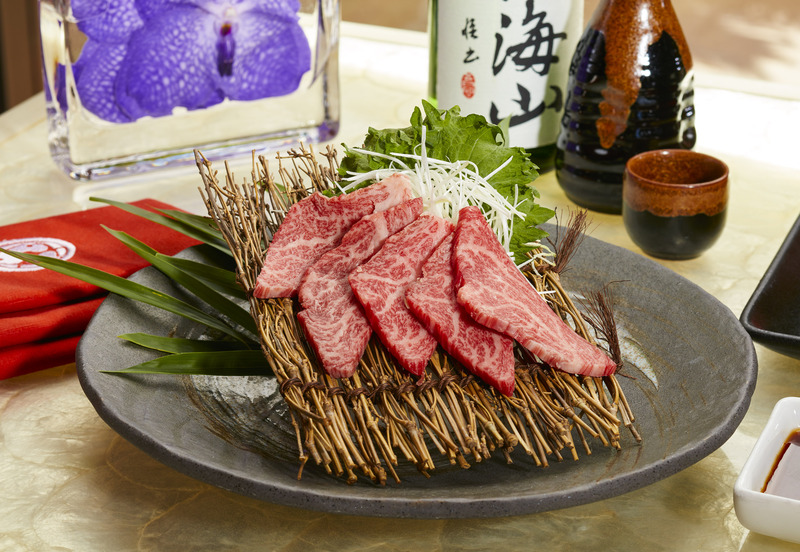 Taste anything cooked on a robata grill and you’ll always recall that specific cooking style perfected over centuries. As the ocean breeze blows onto the terrace at ETARU Japanese restaurant, New Year’s Eve guests will sample the menu honoring this ancient grilling technique, along with sushi and sashimi. A few of the robota meat and fish specialties include pork ribs with tobanjan sauce, beef skewers with shishito peppers, tiger prawns with arima sansho and garlic, and black cod marinated in yuzu miso. Make a reservation at ETARU Hallandale. Four courses of seasonal produce, housemade pastas, and nose-to-tail proteins make up the prix-fixe menu at The Bristol this New Year’s Eve. The Bristol is a staple of Chicago’s Bucktown locale and the home away from home for other local chefs. Dinner may be serious business, but expect it to turn into a party when the dining is done. Local favorites include boquerones with celeriac butter, monkey bread, Parisienne gnocchi with duck hearts and fennel garlic sausage stuffed porchetta. Make a reservation at The Bristol. 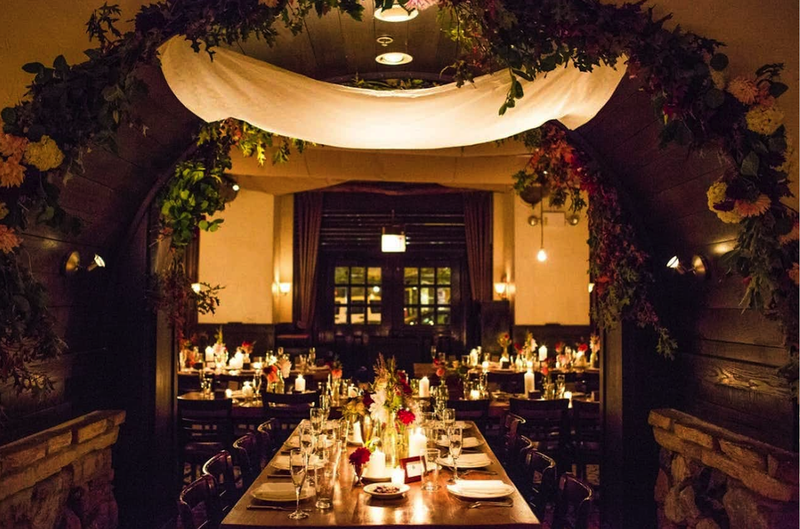 Tapestries, 17th-century décor, columns, and all the ambiance of a restaurant by a lake make Lancellotti Dining Room & Parlor Bar the target for romance on New Year’s Eve. This Geneva on the Lake in the Finger Lakes region of central New York gem is preparing sun-dried pepper polenta, Australian lamb rack, and lemon and chèvre cheesecake with housemade sorbet for dessert. Make a reservation at Lancellotti’s Dining Room & Parlor Bar. Perhaps nothing strikes joy in the hearts of cheese lovers like cheese fondue, which happens to be the appetizer for Geja’s Café on New Year’s Eve. In addition, the other three courses will include salad, lobster, and a shrimp and beef entree, plus Geja’s flaming chocolate dessert fondue. 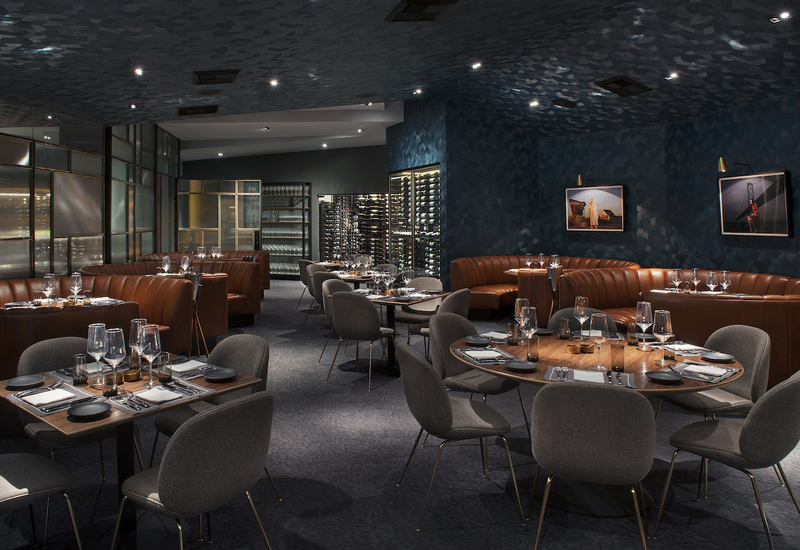 The first seating includes a glass of Piper Heidsieck Brut Champagne and the second seating includes a glass of Charles Heidsieck Brut Rose Champagne, while the last seating includes a bottle of Piper Heidsieck Brut Champagne per couple, plus party favors. Make a reservation at Geja’s Café. 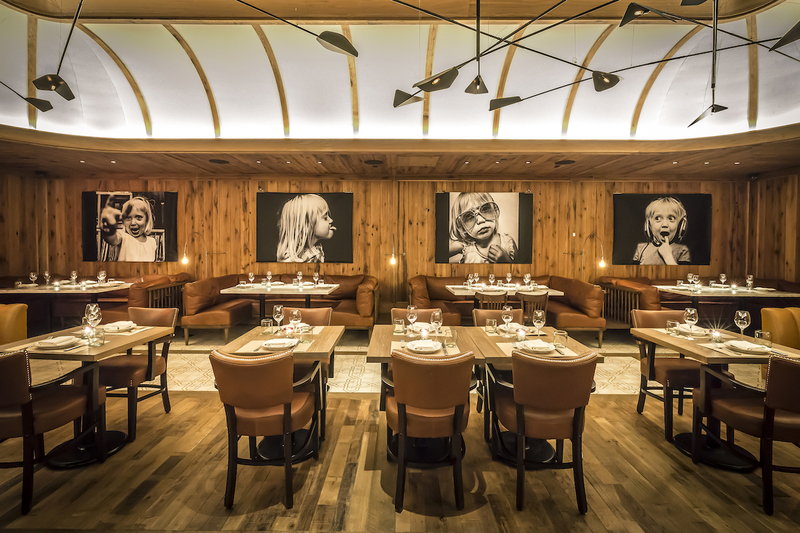 For Scarpetta’s first New Year’s Eve at their new flagship location, there will be three seatings. The first seating is at 5PM with an a la carte menu, followed by a 7PM seating with a prix-fixe menu for $125 per person. The last seating at 9:30PM includes live music, a Champagne toast at midnight and a prix-fixe menu for $195 per person. 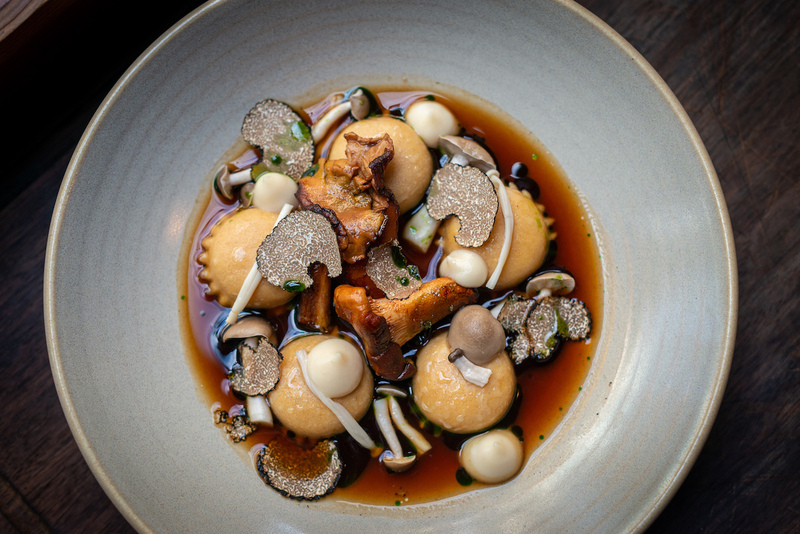 Look for menu items like braised octopus, duck and foie gras ravioli, and Akuashi wagyu beef. Make a reservation at Scarpetta. 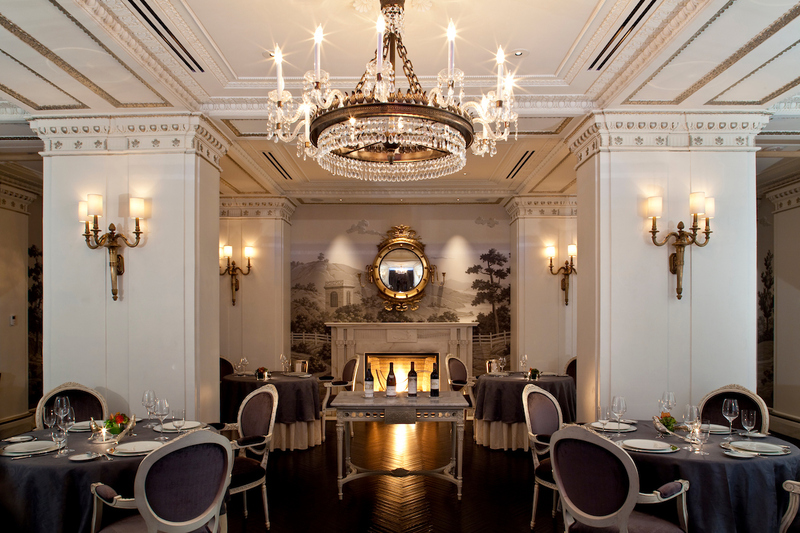 The menu at The Grill at the St. Regis seems perfectly suited to this classic eatery. The five-course dinner will feature a winter greens salad, cream of potato and leek soup, butter-poached Maine lobster, Brandt Farms prime ribeye, and bittersweet chocolate mousse. After dinner, dessert and live jazz music, St. Regis continues the New Year’s Eve sabering ritual of a magnum bottle of Champagne at the stroke of midnight. 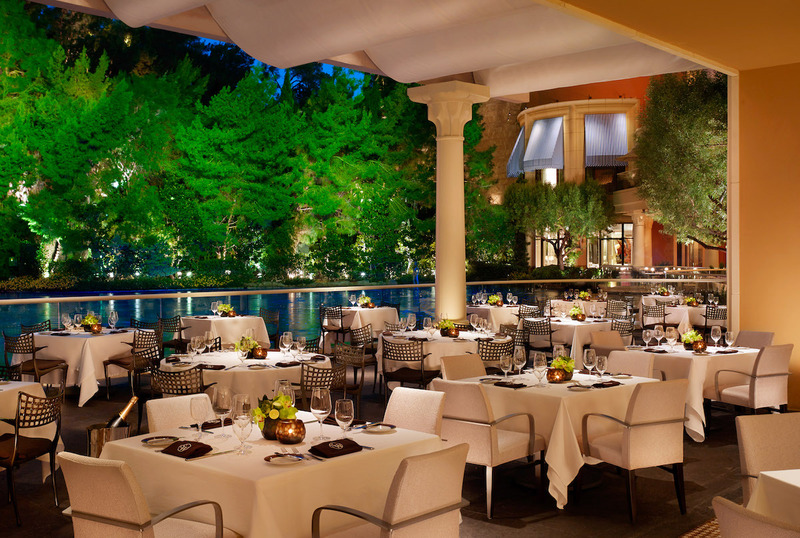 Make a reservation at The Grill at The St. Regis. Mocha pudding cake with citrus, pistachio, and cinnamon cream sounds like an outstanding way to punctuate a New Year’s Eve dinner, as part of the four-course, prix fixe menu at The Restaurant at Wente Vineyards. In addition, diners can choose between filet mignon with celery root, potatoes, Brussels sprouts with sauce Diane, and blackened sea bass with creole tomato couscous, mussels, and andouille. 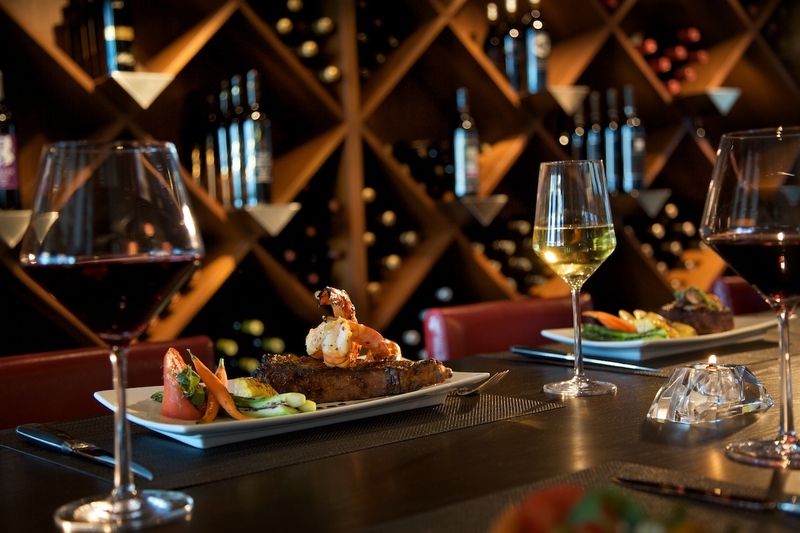 Make a reservation at The Restaurant at Wente Vineyards. RARE Steakhouse & Tavern, Washington, D.C.
To honor the holiday, D.C.’s RARE Steakhouse & Tavern is hosting celebrations in both the steakhouse and tavern dining rooms. Vintage spirits pave the way early in the evening toward fine wine pairings with dinner. 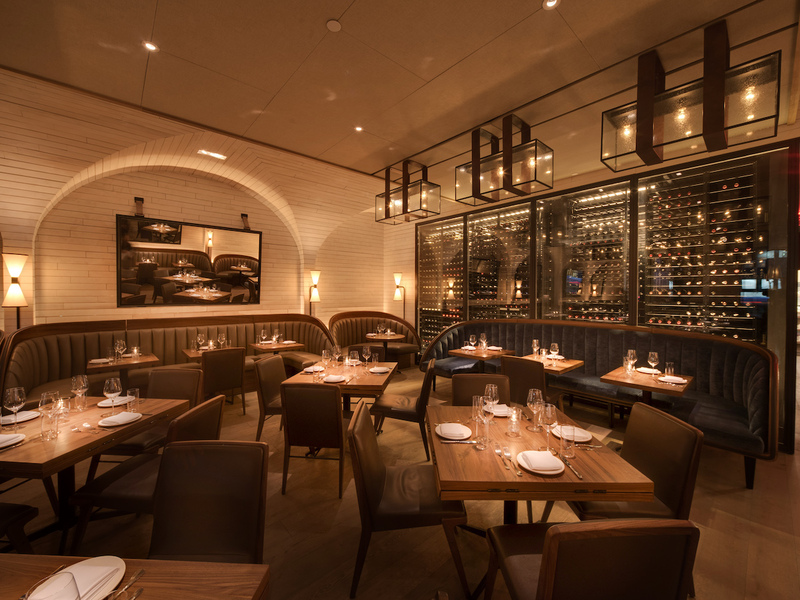 Among RARE Steakhouse & Tavern’s succulent dishes are steakhouse pig and cheese and roasted bone marrow appetizers, dry-aged double bone chop, and Kusonoki A5 wagyu strip. 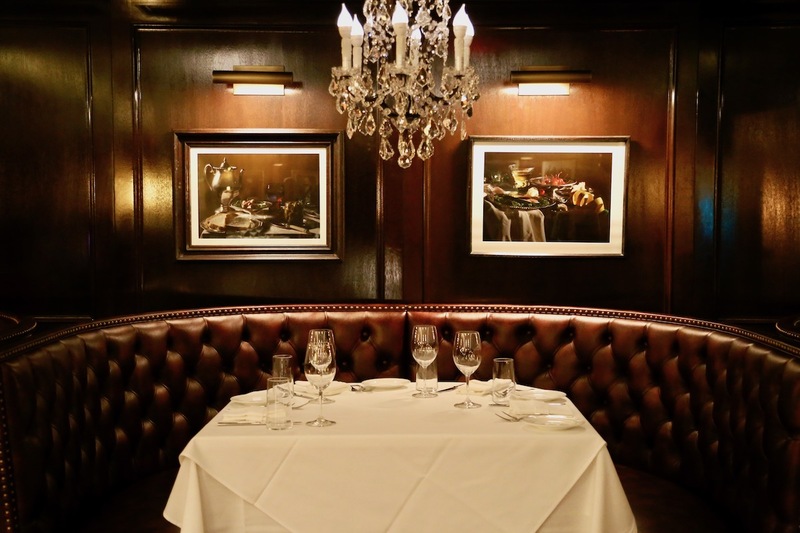 Make a reservation at RARE Steakhouse & Tavern. Steak in Texas is almost a rite of passage for carnivores on New Year’s Eve. Fans of Pappas Bros. Steakhouse love the romantic surrounding of this classic Lone Star state eatery, with locations in Houston and Dallas. On New Year’s Eve, diners can enjoy a prix-fixe menu with a choice of appetizers, such as lobster deviled eggs and shrimp remoulade, salad or soup, prime New York strip, broiled Ōra king salmon, or grilled double lamb chops, plus veggie option like roasted wild mushrooms or au gratin potatoes. Make a reservation at Pappas Bros. Steakhouse. In one of America’s best-known party cities, locals love Kiki on the River for its Sunday Funday events in this destination eatery’s waterfront garden. And on New Year’s Eve, seatings will include a complimentary bottle of Moet Brut or Dom Perignon with Kiki on the River classic Greek favorites grilled octopus, grilled lavrak, and lamb rack among others. First-course choices will include Dungeness crab bites and truffle heirloom tomato salad, while the second course also includes jumbo grilled prawn dressed with Ladeomono sauce. The third course features surf and turf Waygu filet with lobster and truffled mashed potato and pasta fruit de mare followed by chocolate mousse cake or fruit tart for dessert. Make a reservation at Kiki on the River. In the Seagram Building on New Year’s Eve, THE POOL has two seatings on New Year’s Eve. It’s hard to imagine anything could beat a caviar tasting on New Year’s Eve at THE POOL served in 50g or 100g portions and accompanied by duck fat roast potatoes, jidori eggs, and fresh blinis. But with dishes like red snapper Pontchartrain, roasted duckling, and pastas that include sheep’s ricotta gnudi and scampi tortellini in shellfish broth, there’s no stopping at the appetizers. Music for the evening is by the Chino Pons Band. Make a reservation at THE POOL. Also within the Seagram Building, what’s become one of the city’s legendary chef’s buffets prepared in the dining room, items like liverwurst, goose terrine, and house-cured salmon have diners wishing their meal would never end, not to mention the caviar Vichyssoise, minted black bass, and lobster à la Newberg. Two seating options are also available at THE GRILL. Make a reservation at THE GRILL. Regional French cuisine reigns supreme in three- and four-course dinners at Kendall’s Brasserie’s New Year’s Eve celebration. Featured dishes include duck foie gras terrine with fig marmalade, pumpkin ravioli with roasted broccolini, lemon confit, and chives, and roasted venison loin with celery root brandade, red wine-poached pear, and green peppercorn poivrade sauce. 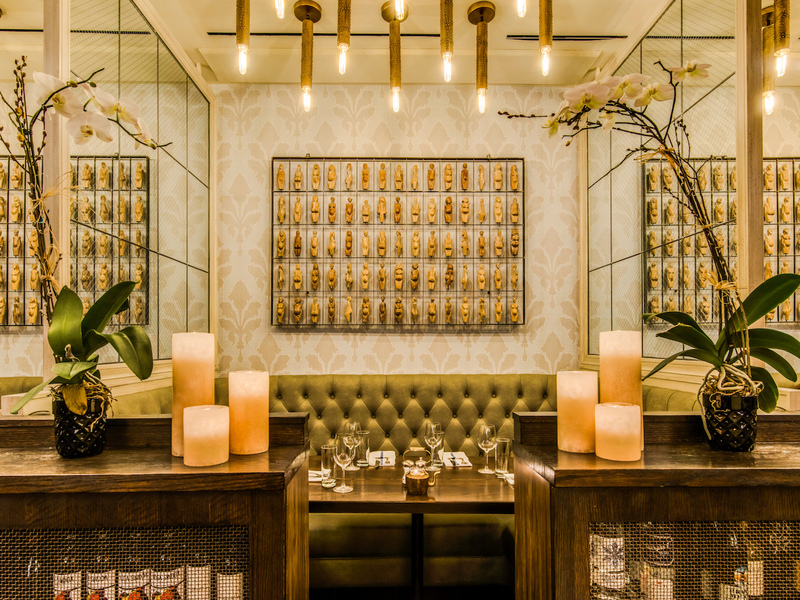 Make a reservation at Kendall’s Brasserie. 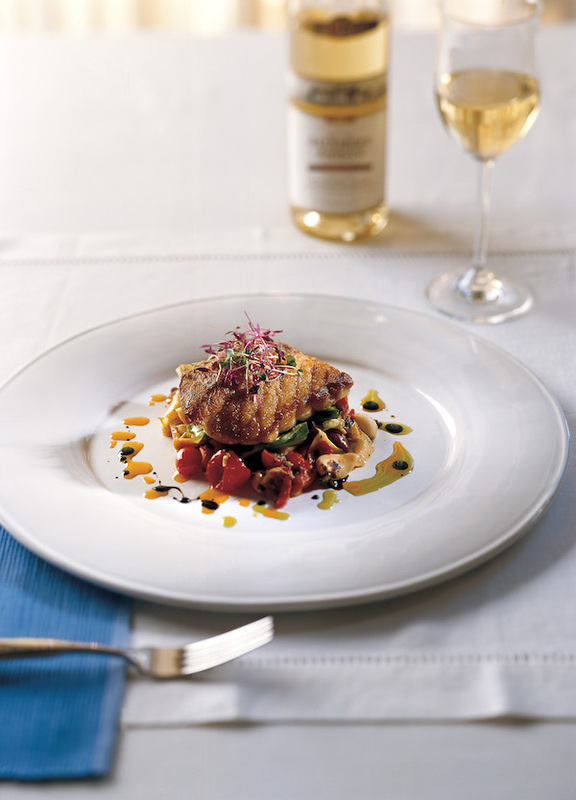 Antipasti, pastas, and dolce define romance on a plate in Italian cuisine. Combined with candlelight, tucked away in a rustic stone setting and the spell of Italy is complete at Osteria Via Stato on New Year’s Eve. 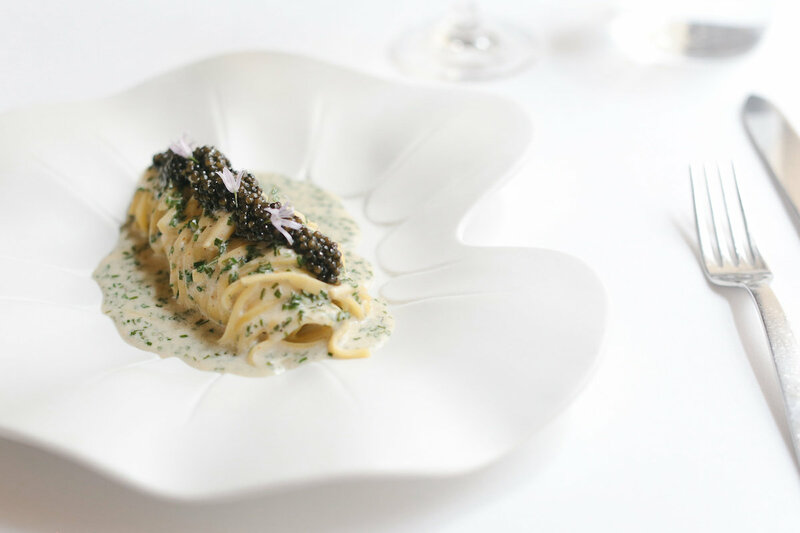 Among regulars’ favorite dishes, the cacio e pepe with spaghetti, pecorino, and black pepper, hand-rolled gnocchi, pork ragu with parmesan and basil, and ricotta cavatelli. 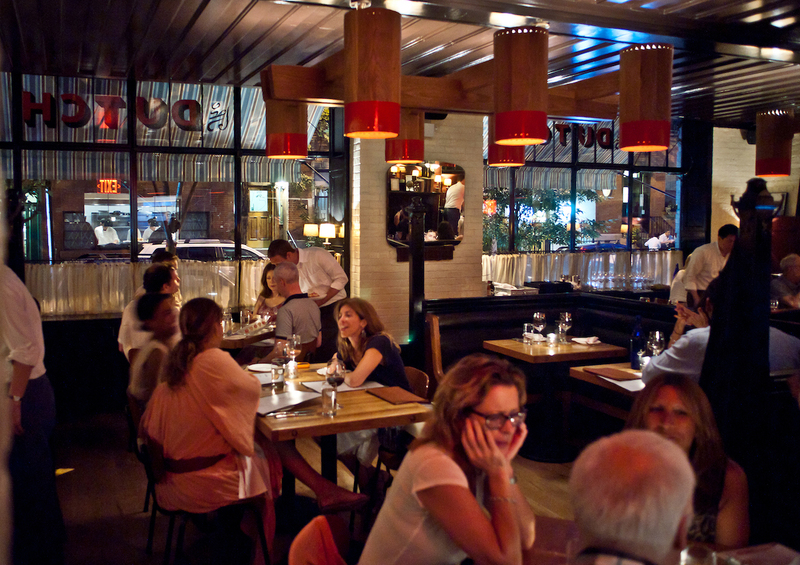 Make a reservation at Osteria Via Stato. Lidia Bastianich opened Felidia way back in 1981 and it’s still an example of authentic Italian cuisine with signature items like tutto crudo, pear and fresh pecorino ravioli, Berkshire pork chop alla Milanese, and hazelnut and Nutella tiramisu. For this New Year’s Eve celebration, Felidia’s ultra-decadent bubbles and pearls menu will include fine Champagne and caviar selections. Make a reservation at Felidia. Ernest Hemingway’s beloved old-town Havana inspired this Pearl Hotel gem. For New Year’s Eve, Havana Beach Bar & Grill is highlighting Gulf Coast American cuisine with Champagne service and live music. 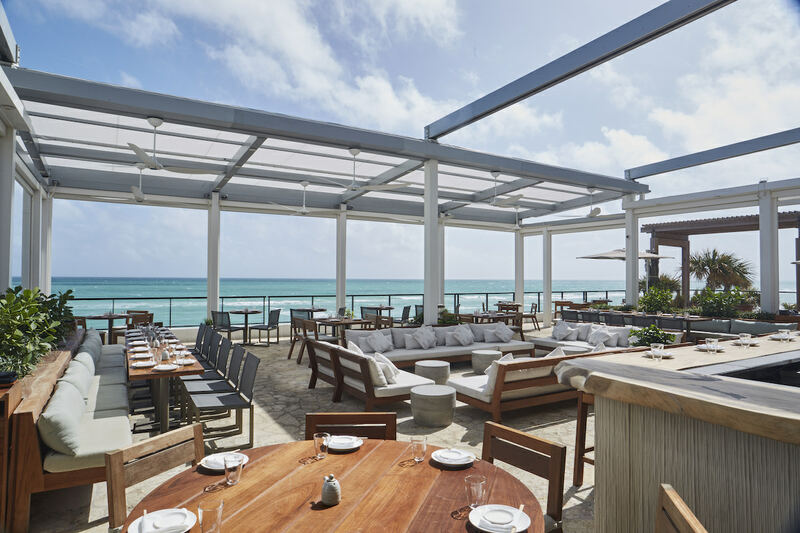 Dinner is served until 11PM when diners can retire to the Havana Beach Rooftop Lounge to canoodle on a cabana or near the fire pit. 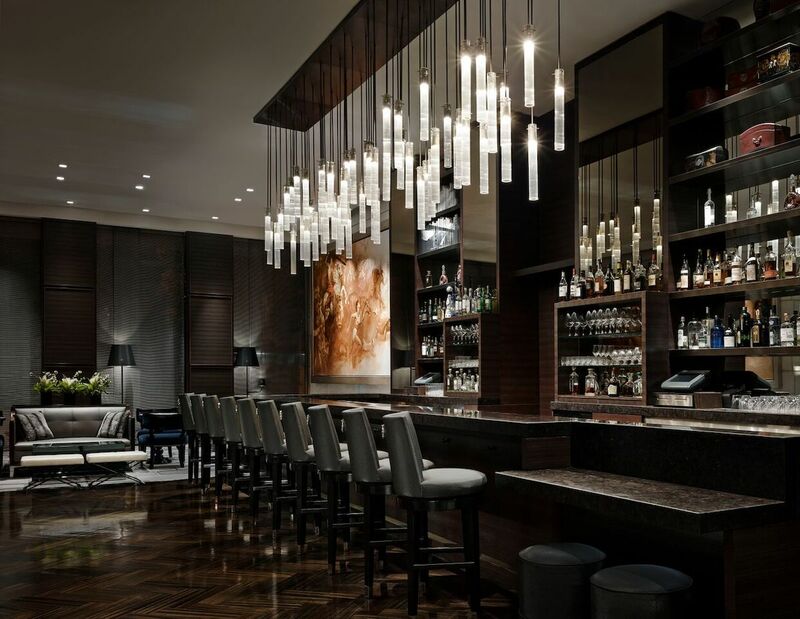 Midnight snacks at the lounge include shared-plates plus a full bar. Make a reservation at Havana Beach Bar & Grill. 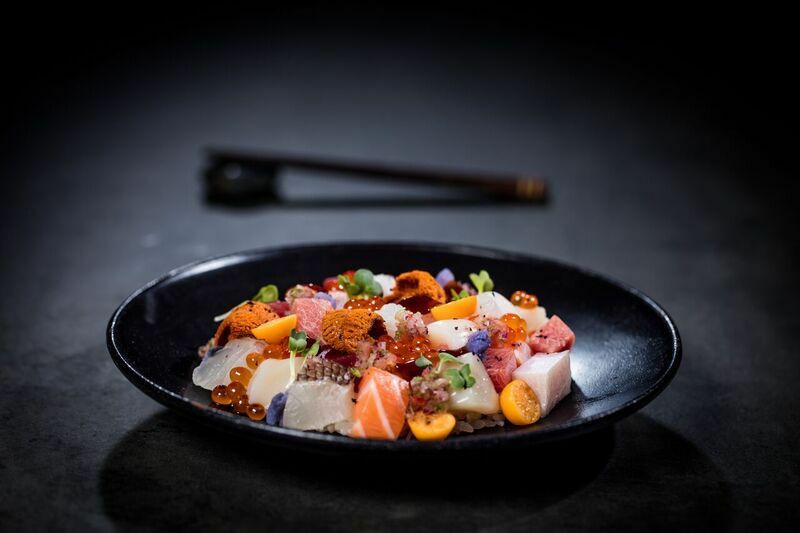 There’s already a lot of love in chef Clay Conley’s Palm Beach favorite Buccan – fans are drawn to his hamachi tiradito with Peruvian chilies, short rib empanadas, and squid ink orecchiette. Conley plans more wooing on New Year’s Eve in this intimate atmosphere. Grab a cocktail beforehand at Imoto, Buccan’s sister restaurant right next door. Make a reservation at Buccan. The New Year’s Eve prix-fixe menu is cause for celebration at Mizumi, with items like seared bluefin tataki Niçoise with Osetra caviar and crème fraîche, robatayaki grilled Maine lobster with lobster-kabosu butter sauce, and Snake River Farms American wagyu New York strip loin with baked king crab gratin and red wine miso. Dessert is a festive surprise but sure to pair well with the Champagne toast at midnight. Make a reservation at Mizumi. Known to coffee lovers for its roasts sourced from Four J’s Coffee, the charmingly tiny Trademark Taste & Grind is offering a three-course, prix-fixe menu for New Year’s Eve. This has become a go-to hot spot for diners with food sensitivities because of Trademark’s all-day allergen menu with popular dishes like smashed beets with tahini, feta yogurt, and house naan. On the regular menu, burrata and knots with tomato jam and roasted garlic, steak tartare, wild mushroom risotto, and Adrienne’s rigatoni bolognese draw diner favor. Make a reservation at Trademark Taste & Grind. Elect to pair the four-course New Year’s Eve dinner at The Wilson with a cocktail course this year since cocktail curator Will Benedetto has developed a special range of tasty beverages to accompany the cuisine. 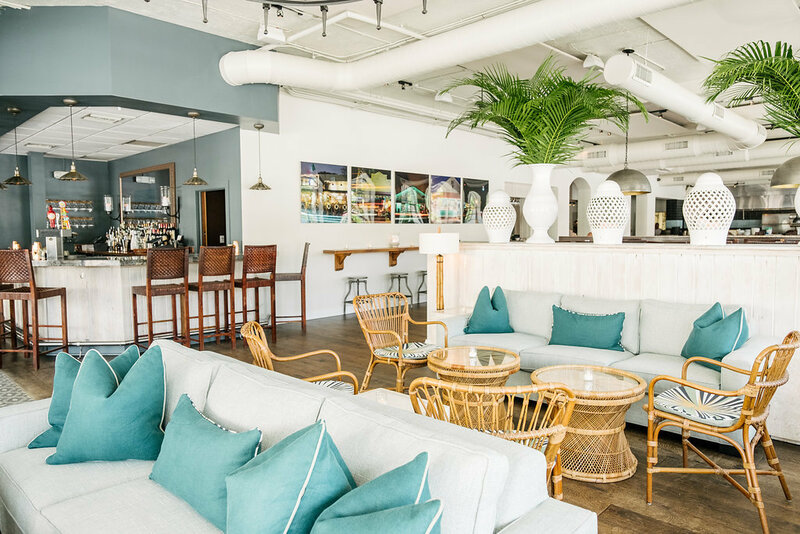 Dishes like Merguez lamb meatballs with golden raisin pesto, Brussels sprouts tacos, avocado fries, Owen’s pad Thai, falafel waffle, and Chatham cod, shine on the all-day-long menu at The Wilson. Make a reservation at The Wilson. Diners on the hunt for adventure this New Year’s Eve can find it at the Kuro Japanese restaurant. The omakase tasting experience is the thing to try this year. Loosely translated to mean “leave it to the chef”, guests who do so can expect a flavorful menu of imported ingredients from Japan and sourced throughout the local region. 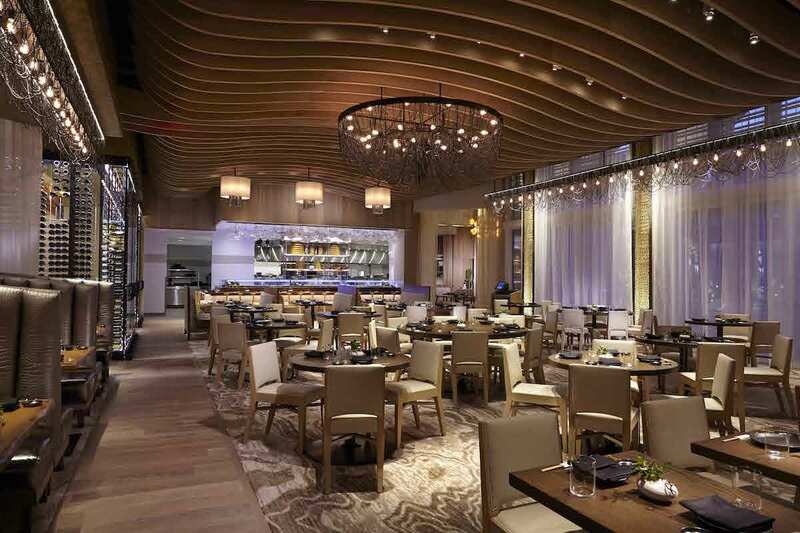 Make a reservation at Kuro at Seminole Hard Rock Hotel & Casino. 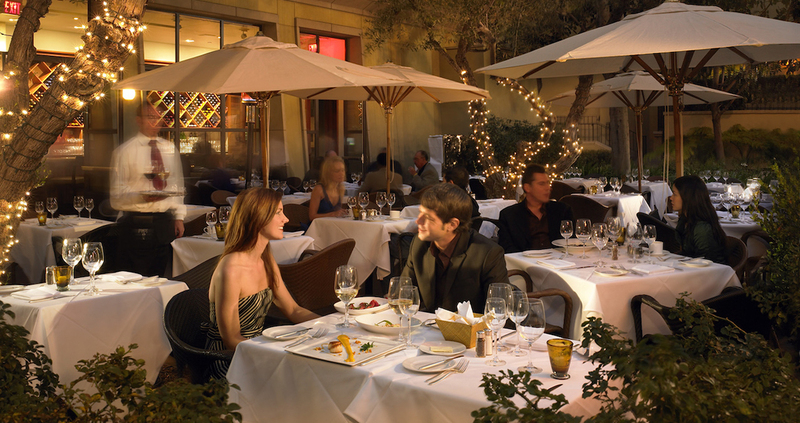 In Vegas style with an affinity for luxury, Costa Di Mare is drawing celebrants with an enticing New Year’s Eve menu. Besides signature Mediterranean seafood and Italian dishes, Costa Di Mare’s prix-fixe menu will include an Alba white truffle tasting with risotto pastorella and mascarpone ravioli, Mediterranean branzino with crab brandade, Wagyu New York strip, and Piedmont short ribs with black truffle sauce. 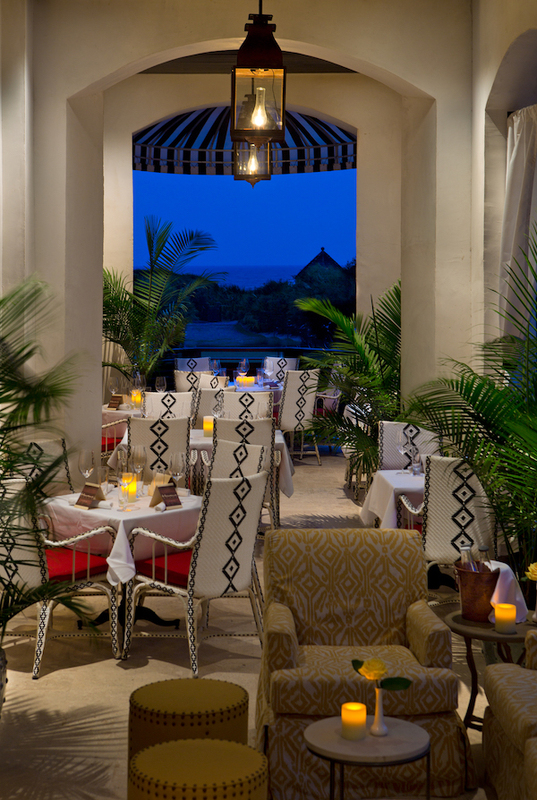 Make a reservation at Costa Di Mare. Cleo’s cuisine is the perfect antidote to the chilly winds on New Year’s Eve, paying homage to the warmer climate of the Mediterranean. 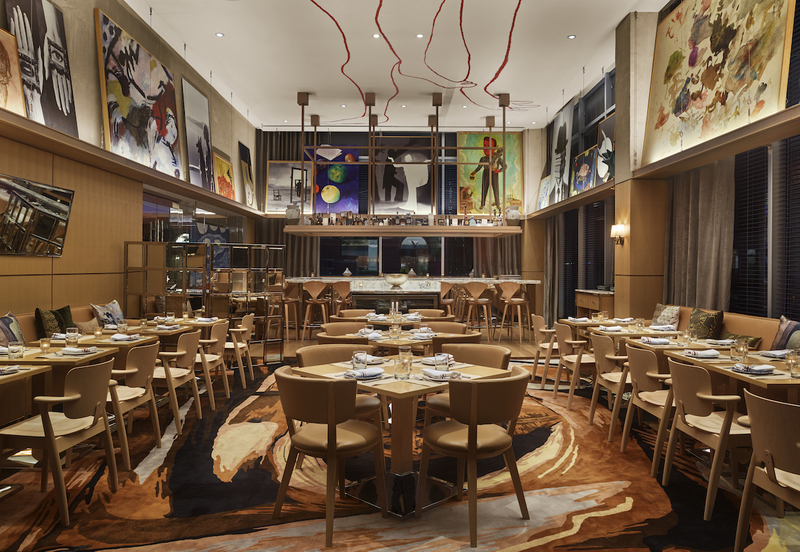 In this gorgeous open kitchen and communal table space in the Mondrian Park Avenue Hotel, among a few special dishes to expect include hummus plates with chickpeas, cumin, and lemon and saffron chicken with olives and zhoug, much like the kebobs and tagines regulars have come to love at Cleo. Make a reservation at Cleo. America’s largest private residence is known for its elaborate Christmas decorations and extravagant cuisine throughout the Estate. This New Year’s Eve, the food party is happening at The Bistro, with multiple courses and dishes like duck liver mousse, grilled octopus Romesco, Spanish-style croqueta, lobster bisque, seared skate, petite strip and lobster, and duck two ways with Christmas lima beans and corn madeleine; for two to share, there is also a bone-in, dry-aged ribeye with sauce Perigueux, winter truffle, roasted root vegetables, and fingerling potatoes. 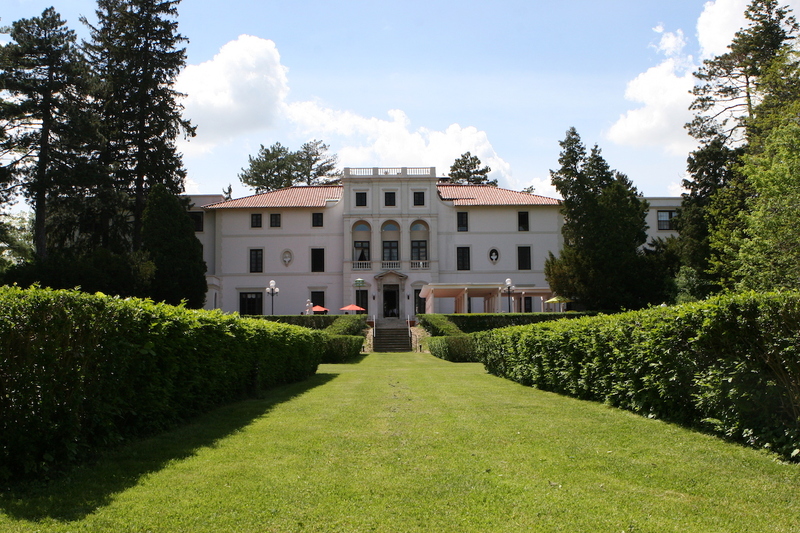 Make a reservation at The Biltmore Estate. Tunes by Harlem River Noise with Kaylyn Marie, cuisine and lovely backdrop by The Library at the Public. Included in the New Year’s Eve three-course, prix-fixe menu options are salmon tartar with horseradish crème, caviar, and pomme allumette, Moroccan chicken with couscous, fall vegetables, and chermoula, and for dessert, chocolate walnut cake. Side dishes are served family-style. Make a reservation at The Library at the Public. 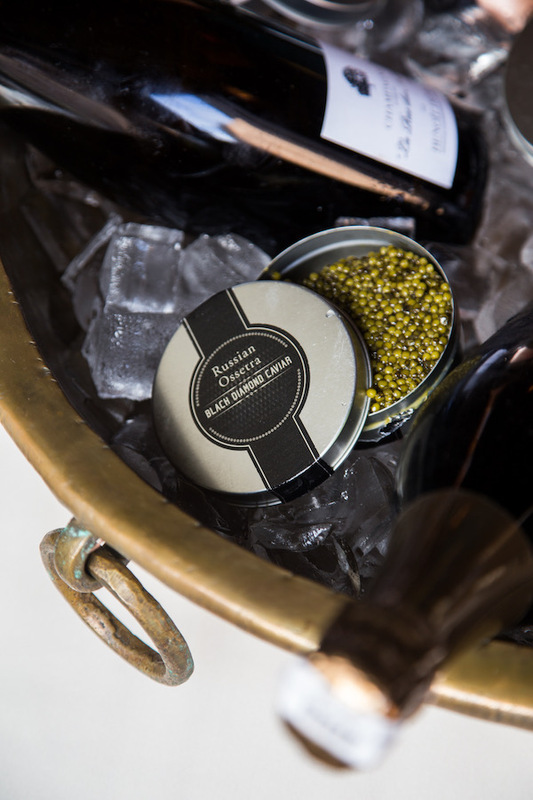 Warm Champagne and osetra caviar canapes welcome diners headed to SW Steakhouse on New Year’s Eve. The tasting menu will include butter-poached Maine lobster with white truffle potato mousseline, crisp potato, and sauce Americaine, and wild Mediterranean turbot with caviar, uni butter, and sea greens, plus whisky-bathed Japanese wagyu filet mignon with shaved black truffle, mushroom duxelle, and black truffle sauce. The 24-karat gold bar for dessert features bubbly caramel, Cognac ganache, and white chocolate cream. Make a reservation at SW Steakhouse. 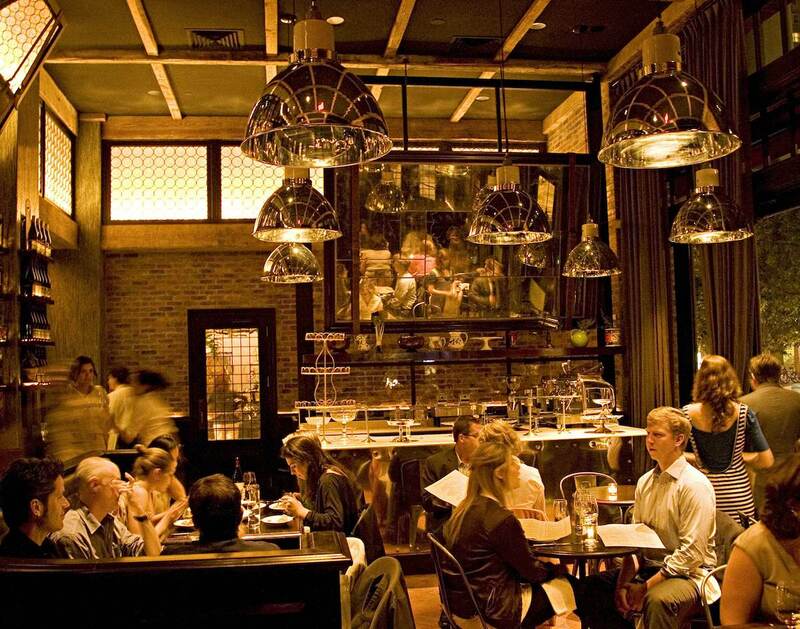 For fans of indulgent eating, Wildebeest is like the Mother Ship of New Year’s Eve menus. This Vancouver Gastown restaurant’s four-course feast includes fresh burrata and heirloom carrots, vacche rosse ravioli with Perigord truffle, bison flat iron with pommes Lyonnaise, pan-seared turbot with BC spot prawns, and caramelized spartan apple with salted caramel ganache. 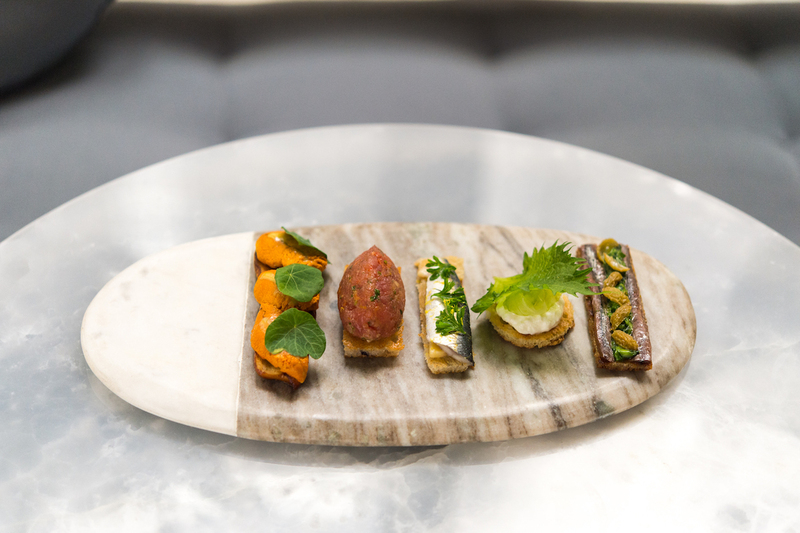 Also among the menu choices, smoked goose breast and leg terrine with beetroot, quail egg, and nasturtium, Peace Country pressed lamb belly with chestnuts, roasted parsnip, and smoked blueberry, and foraged mushroom tarte tatin. 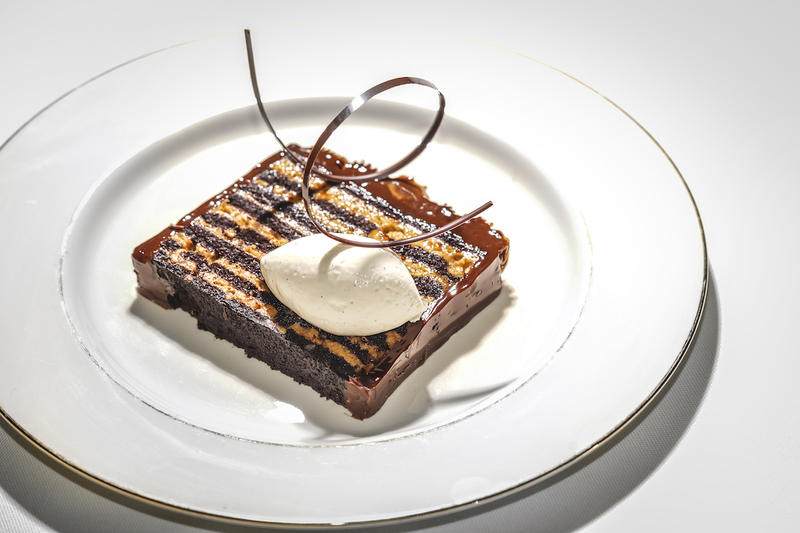 Desserts include dark chocolate silk cake with fig jam, fig leaf foam, and cocoa nibs or caramelized Spartan apple and salted caramel ganache with toasted hazelnuts. Make a reservation at Wildebeest. The classic marble bar opens early at Oceana, followed by a special menu for dinner on New Year’s Eve. Dishes to anticipate include lobster croque monsieur with Alpha Tolman cheese and lobster cream, bay scallop crudo with black truffle, egg pasta with crab, lemon, and caviar, sea scallops with black truffles and potato puree, and, tournedos Rossini filet mignon with foie gras and black truffles. Make a reservation at Oceana. Anything with the word snow in the title as part of a New Year’s Eve dinner makes it sound more festive. At Café Pinot this year, dinner specials will include oysters in snow with apple, yuzu, and black pepper, whole Dungeness crab dip in shell with grilled bread, and crispy short rib with salsify and yuzu hollandaise. Diners can also order from the full a la carte menu and choose Champagne and curated wine pairings. Make a reservation at Café Pinot. 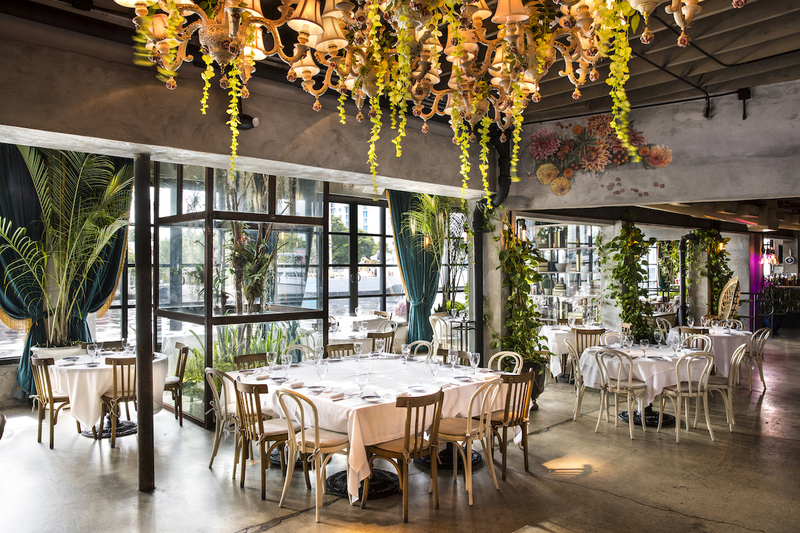 One of the first places to bring grilled bread and housemade ricotta into the mainstream years ago, Locanda Verde is offering a four-course menu and their à la carte menu on New Year’s Eve. 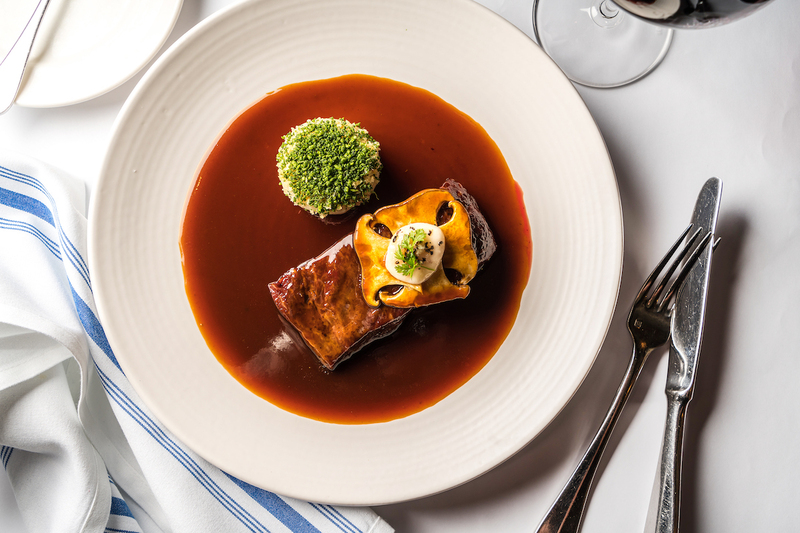 The prix-fixe options include veal tartare with porcini vinaigrette and black truffle, Saffron linguini with uni and lobster, Barolo-braised short rib, and Gianduja chocolate tart. Make a reservation at Locanda Verde. 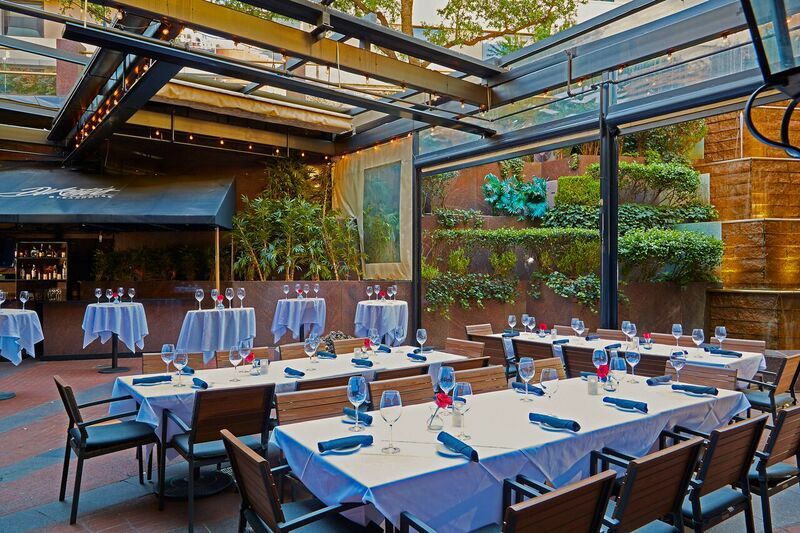 New Year’s Eve dinner at Nick + Stef’s Steakhouse in Los Angeles includes a festive surf and turf menu, paired with holiday drinks, desserts, and an end-of-evening toast. The food special features petite filet mignon, lobster tail, JBS potato puree, roasted root vegetables, and sauce au poivre. Guests can also order from the full a la carte menu. Make a reservation at Nick + Stef’s Steakhouse. Sleek, luxurious Sen Sakana is pairing signature style with signature dishes in a New Year’s Eve celebration, including highlights from the restaurant’s vast beverage program. Ceviche, towashu beef tiradito, and grilled fish will feature prominently on the menu, and, of course, the famed chicken nanban. Fans of Sen Sakana’s sushi and sashimi won’t be disappointed. Make a reservation at Sen Sakana. 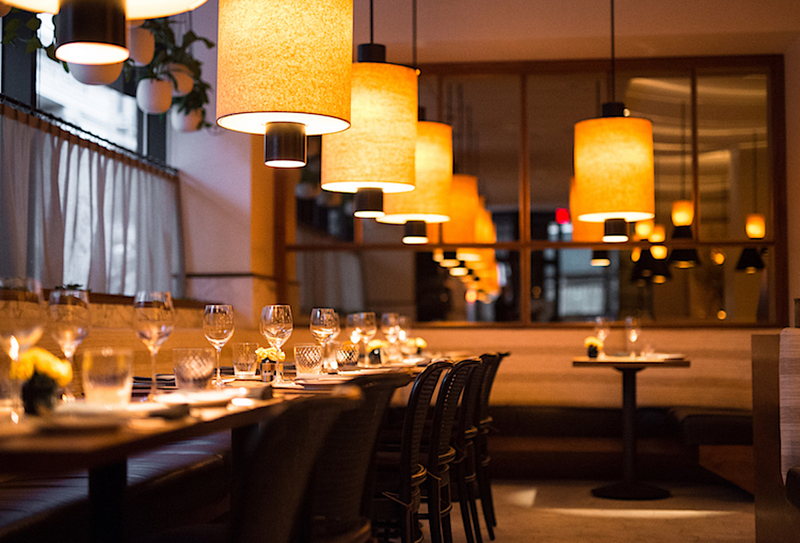 Two seatings at Patina include four- and six-course dinners. Savory features will include Binchotan grilled Snake River Farms Wagyu beef with rib eye, oxtail compote, savoy cabbage, and pommes mousseline. On the seafood side, Patina presents a butter-poached Maine lobster with Weiser carrot, pommes maxim, and nasturtium with available supplements and wine pairings. 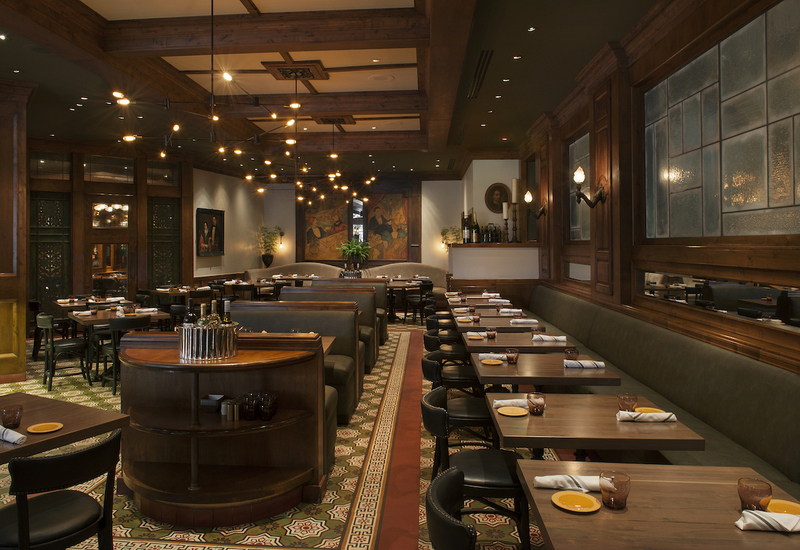 Make a reservation at Patina. 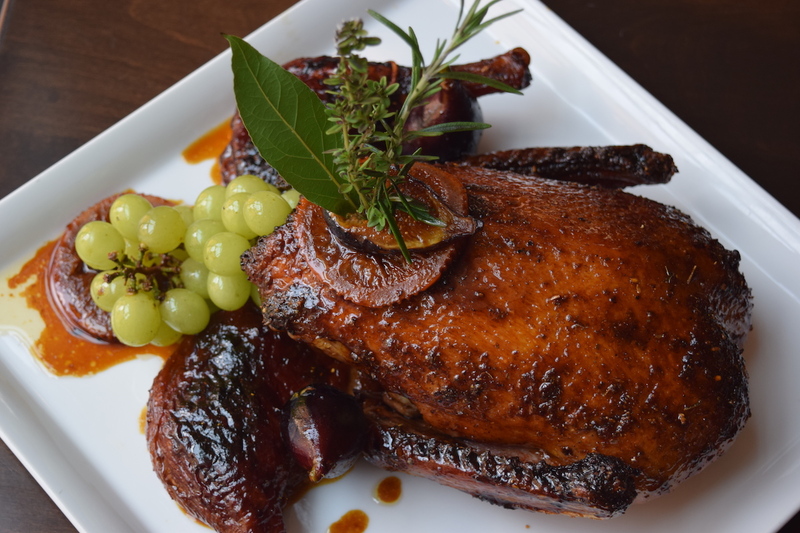 For many diners, roasted Peking duck is a special occasion meal – especially on New Year’s Eve. But that’s only part of the culinary fun happening at DaDong this year. 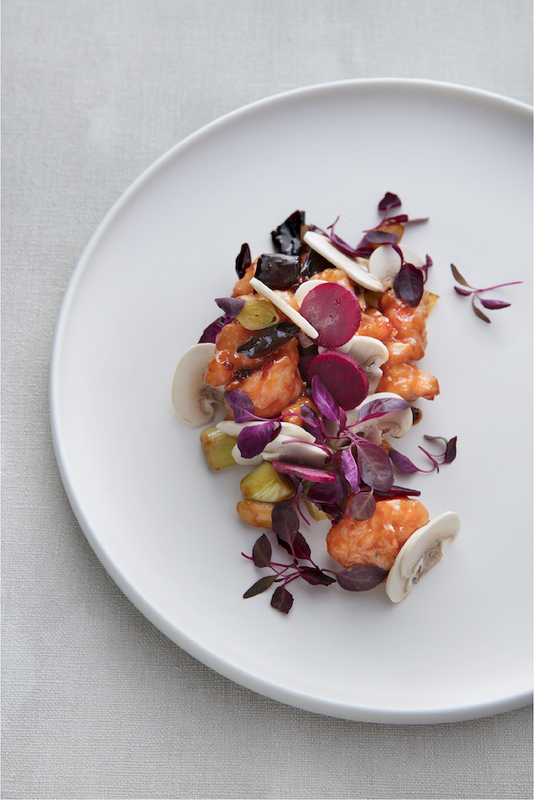 In this polished Chinese restaurant, guests will have the option of trying cherry foie gras, slow-cooked lobster with saffron rice, Wagyu with Sichuan-preserved vegetables, and braised abalone with white truffle. This is the place to add Chinese Baijiu and a few other intriguing beverages to your order. Make a reservation at DaDong. Hudson Valley marbled foie gras terrine with prunes and paprika, and housemade walnut bread with Milbrook venison carpaccio are just the beginning of Brabo Brasserie’s New Year’s Eve menu. 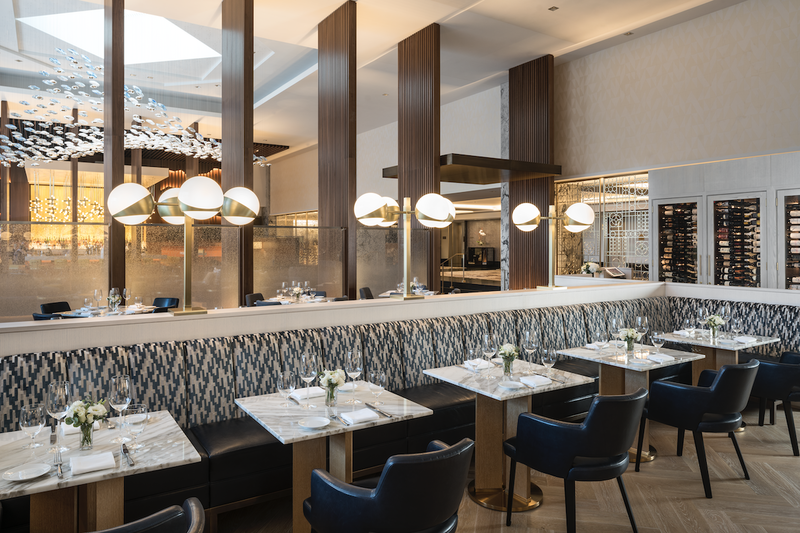 Also part of the two seating, five- or six-course menu, Brabo Brasserie is featuring herbal sablefish with chanterelles and winter squash puree and duck a l’orange with seared duck breast and braised duck leg, fried potato skin, and blood orange. 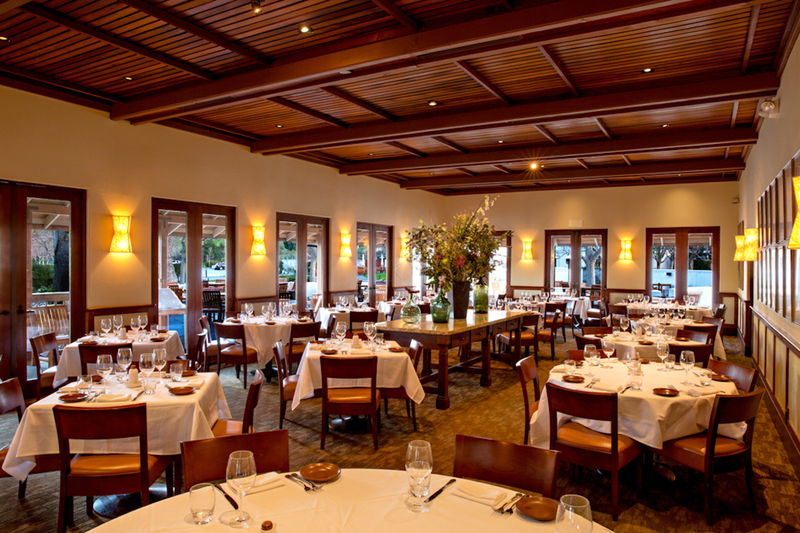 Make a reservation at Brabo Brasserie. A nod to peak season ingredients, Little Park is offering two seatings on New Year’s Eve with a four-course, prix-fixe menu. Featured dishes include pumpkin uovo with black truffle ricotta, hazelnut, and vin cotto, Hudson Valley foie gras, lamb Osso Buco with squash curry, North Atlantic halibut with endive, Champagne beurre blanc, and Kaluga caviar, and hazelnut dark chocolate bomboloni. Make a reservation at Little Park. One of the most romantic sharing dishes to order is beef Bourguignon served tableside, such as offered by Mon Ami Gabi on New Year’s Eve. This classic French bistro is used to wowing guests with everything from wild escargots de Bourgogne to steak frites. Drop in for happy hour before dinner, which is served until 11PM. 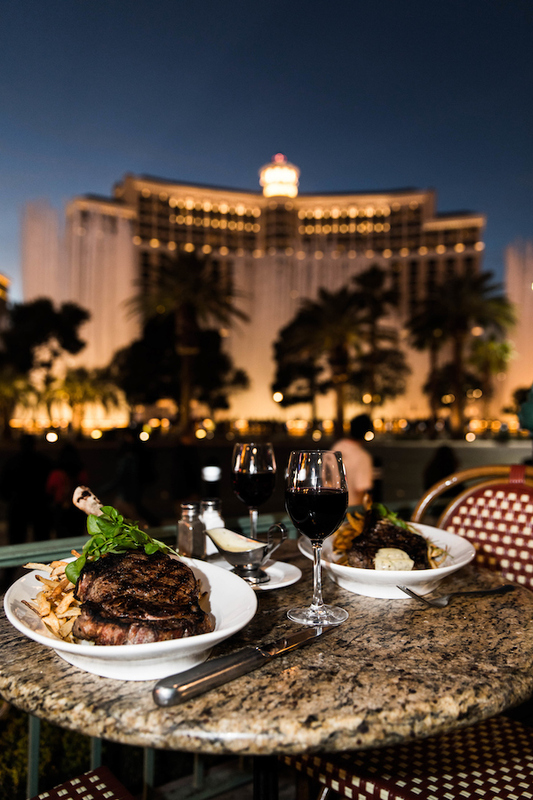 Make a reservation at Mon Ami Gabi. Few places carry the iconic status of Tavern on the Green. Called a front-row seat to the Central Park fireworks display, Tavern on the Green’s annual New Year’s Eve event is a black-tie gala. The three-course seated dinner includes live music, premium open bar, passed desserts, late-night snacks, and fireworks at midnight. Early reservations include the option for a family-friendly, three-course dinner with a sparkling wine toast. 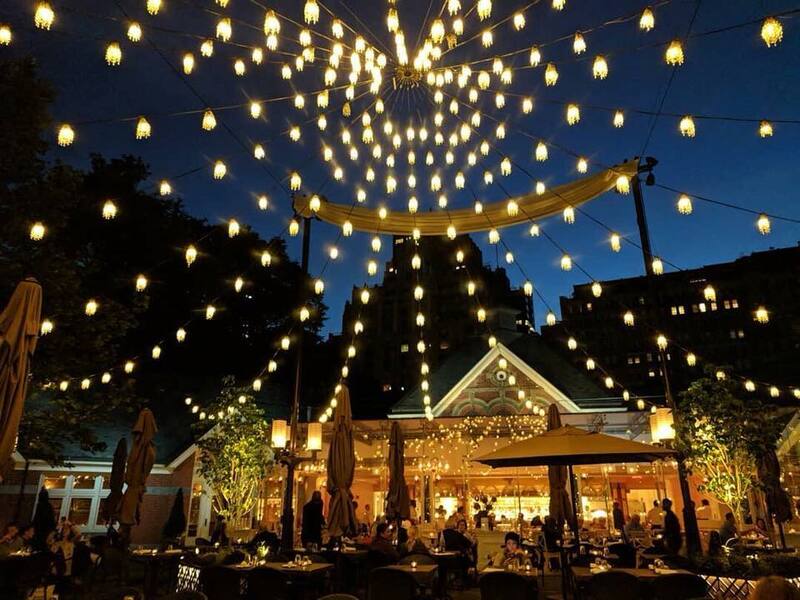 Make a reservation at Tavern on the Green. The first seating at this NoHo neighborhood French eatery features the à la carte menu, with items like the grand fromage of three, five or seven cheeses, black bass bouillabaisse, and dry-aged duck. The second seating on New Year’s Eve will feature a four-course, prix-fixe menu with foie gras terrine, warm king crab with sea urchin and caviar, cauliflower risotto with white truffle and pecorino, scallops à la plancha with honeycrisp apple, black truffle, and pamplemousse. Make a reservation at Lafayette. The evening begins with a French kiss at Spencer’s – the Spencer’s team specialty cocktail creation for the occasion, a sparkling based drink in addition to the four-course, prix-fixe menu. Popular items here include house-flared bacon with chocolate, maple bourbon, and toasted sugar to start, along with the restaurant’s signature steaks, chops, and seafood. Make a reservation at Spencer’s for Steaks & Chops. In the heart of Williamsburg, Brooklyn, Leuca sticks to its Southern Italian roots for the New Year’s Eve four-course, prix-fixe menu. Leuca’s meal includes black shells with king crab and garlic crema, quattro formaggi pizza with black truffles, veal Osso Buco, lobster in purgatorio, and Prosecco granita. Make a reservation at Leuca. After the à la carte first seating on New Year’s Eve, the Dutch team has planned a special tasting menu with Wagyu beef tartare with Béarnaise aioli, black truffle, and capers, risotto with matsutake mushroom, citrus, and gold leaf, and hot fried chicken with Brussels sprouts, Parmesan fondue, and white truffles. For dessert, chocolate hazelnut cake tops off the evening. Make a reservation at The Dutch. 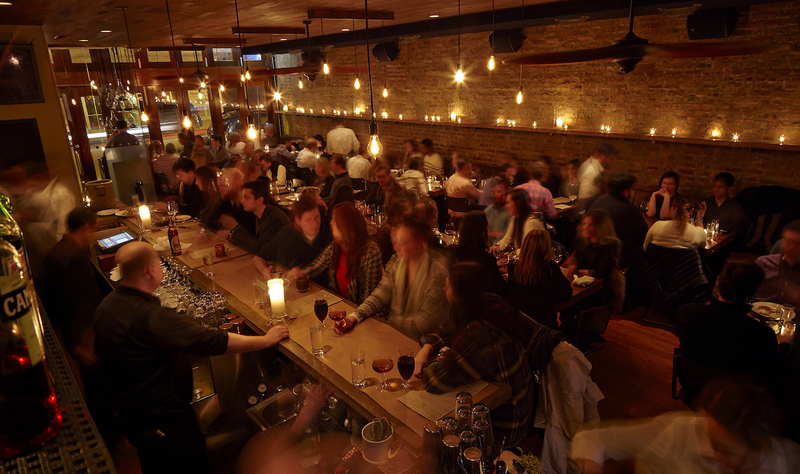 Whatever kind of experience you want to have, OpenTable is here to help you find the right restaurant for your night. Let us know where you’re celebrating New Year’s Eve 2018 here in the comments or over on Facebook, Instagram, Pinterest, or Twitter. And, remember to snap + share your #dishpics with us on Instagram for a chance to win in our weekly giveaway. Photo credits: Barbara Craft (Costa di Mare, SW); Noah Fecks (Leuca); Patina Restaurant Group (Cafe Pinot, Patina); Jonathan Norton (Wildebeest); Hard Rock Hotel + Casino (Kuro).